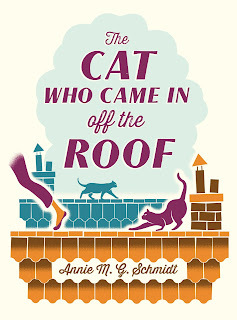 The Cat Who Came in off the Roof by Annie M. G. Schmidt is a chapter book aimed at independent readers. It tells the story of Tibble, a reporter at his local newspaper who struggles for inspiration when his editor complains that all his articles are about cats. Until one day he helps to rescue Minou, a young woman who has become stuck up a tree after being chased by a dog. To his surprise, Tibble soon learns that in fact Minou is a cat who has been changed into a woman. She still behaves a lot like a cat though, and can still talk to them, which comes in very handy when he is on the hunt for insider information about local goings on. 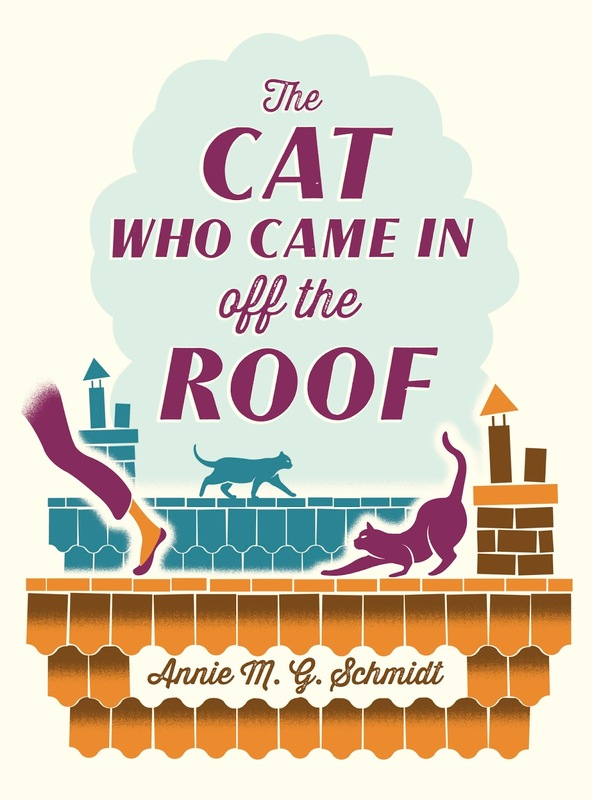 The Cat Who Came in off the Roof was first published in Dutch as Minoes in 1970, and author Annie M. G. Schmidt has won numerous awards for her writing - by her death in 1995 she was regarded as the Queen of Dutch Children's Literature. I know that I can remember reading her Jip and Janneke stories when I was little. This is the first time that the story has been published in English translation, which is fantastic as it's such a great book. I read the book myself, but I'll definitely be adding it to the pile of longer chapter books that I read to Harry at bedtime. I know that he'll really enjoy it! This translation by David Colmer was published by Pushkin Press on 3rd July 2014.